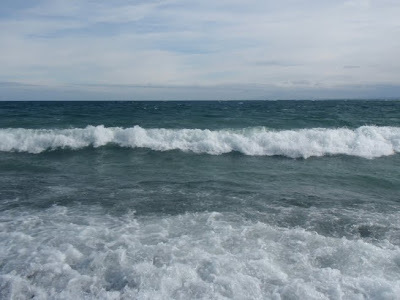 The 20 mph winds have brought in waves, making the south western shores of Lake Iliamna look like a common Pacific beach scene. Great to kayak in. 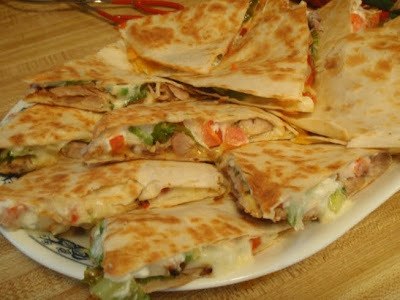 Here's the interior of my famous 'fully loaded quesadillas'. This time around, given my location, I'm using spicy n seared cold smoked salmon with steak as my meat additions. Includes the usual lettuce, onion, tomato, mozo, cheddar... if only I had cilantro. 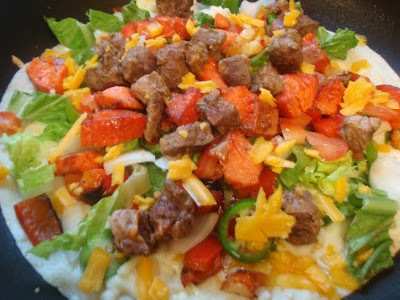 To take it up a notch a later added chipotle tobasco sauce, fresh jalapenos, mild chili powder and a habenero sauce. It's getting cold out so we can use the extra heat. Here you can kind of see the nacho bowl (nachoes, cheddar, onions, green olives, peppers) with homemade black bean dip (coarse chopped black beans, mozo, onion, butter, garlic, red chilis) on the top shelf. 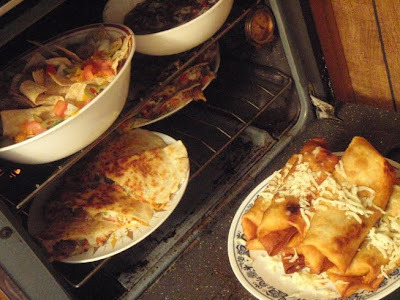 Quesadilla platters on bottom shelf. And bean and rice burritos (deep fried) on the door. 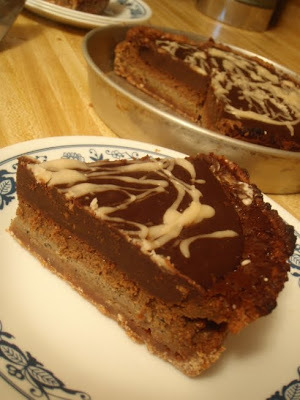 This badboy was for dessert: Rootbeer cheesecake with peanut butter and chocolate fudge topping. The topping took up more space than the filling, but it was well worth it. A unique blend of American flavours. No waste. 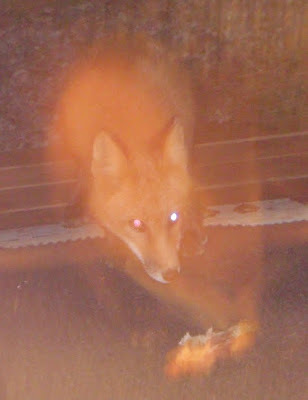 The foxes come around more when it's cold (5 deg C today) and even though it's a no no for wilderness protection, these foxes are already pretty much tamed and deserve a bite before winter comes, just like how we fed the basketball sized cats in Canada during fall and winter.